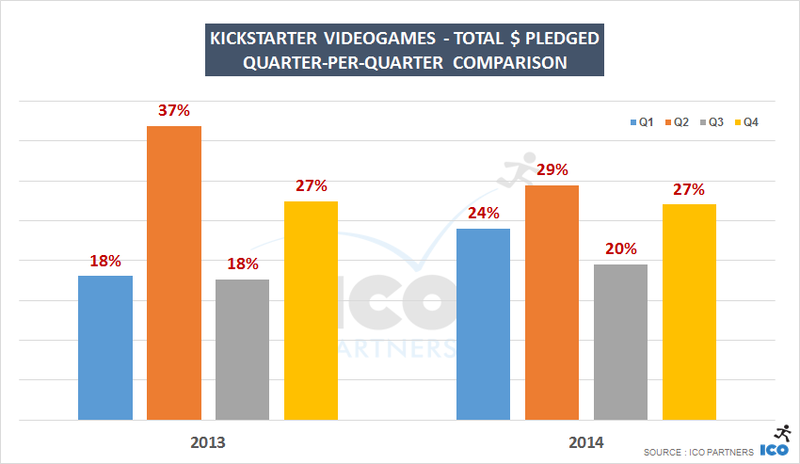 In my last blog post on Kickstarter, I explained how there was a significant drop in the amount of money that went to video games over the past year. Being 3 months in 2015, now seems like a good time to review how the year has started, and how it compares to last year’s trends. Before looking into 2015, I looked at Quarter-to-Quarter trends from the previous years – with the idea of providing more context when looking at the Q1 number for the current year in relation to patterns from previous years. We are still in the early days of crowd funding, and I only have 2 years to look at properly: 2013 and 2014. Prior to 2012 the numbers are just too low, and 2012 numbers themselves are incredibly skewed by the fact that it took off after Q1. Q1 is usually a quieter month. It’s after Christmas, and there are fewer projects overall. This means that we can expect it to accrue less funds. Q2 is a very strong period. The best quarter in both years in terms of revenues and a strong proportion of funded projects (slightly higher ratio of funded projects as well, especially last year). Q3 is the summer. Both years, it had the lowest quarter of money raised. I suspect big projects avoid to launch during the summer (wisely). But it also has the highest number of projects submitted (possibly that’s when hobbyist projects get launched as they have more time then?) – it doesn’t prevent them to get funded though. Q4 is the pre-Xmas insane rush period for the game industry. Getting visibility then is extra hard, we can see it has a lower than average ratio of projects getting funded (true for both years). However, projects that get funded are well provided, this is the second highest quarter per money pledged. Probably helped by a few larger projects again. 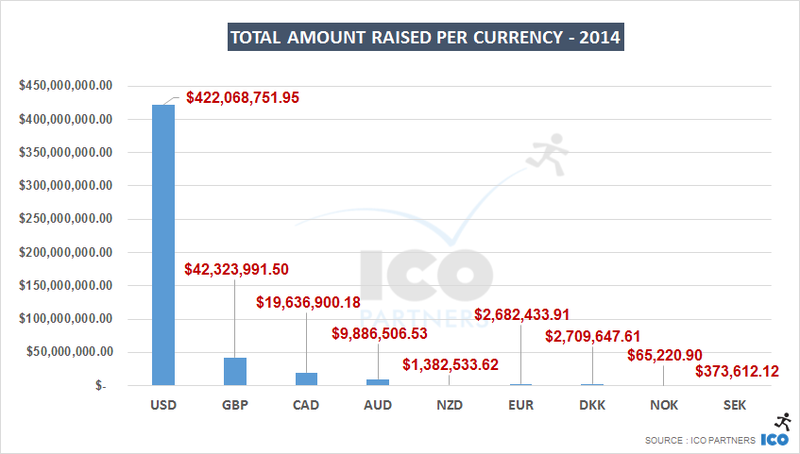 Purely in terms of money raised, 2015 is having a great start. 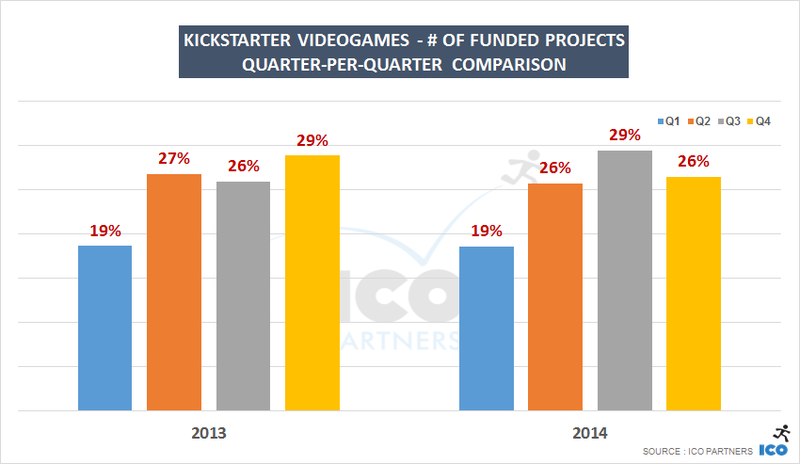 As shown above, Q1 is historically not the strongest quarter, and already more than $8.5 million has been pledged for videogame projects. Looking at the number of projects though, it paints a slightly different picture. 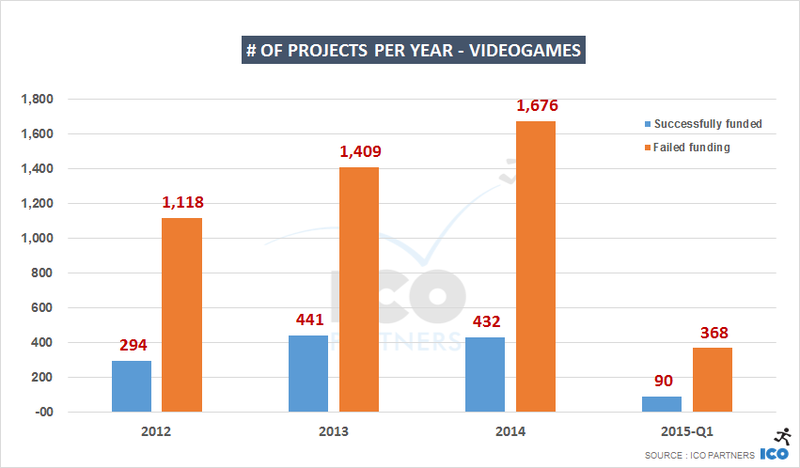 While money-wise, this year seems ahead of 2014, looking at the number of funded projects, we are in the same range as 2014 for the same quarter. 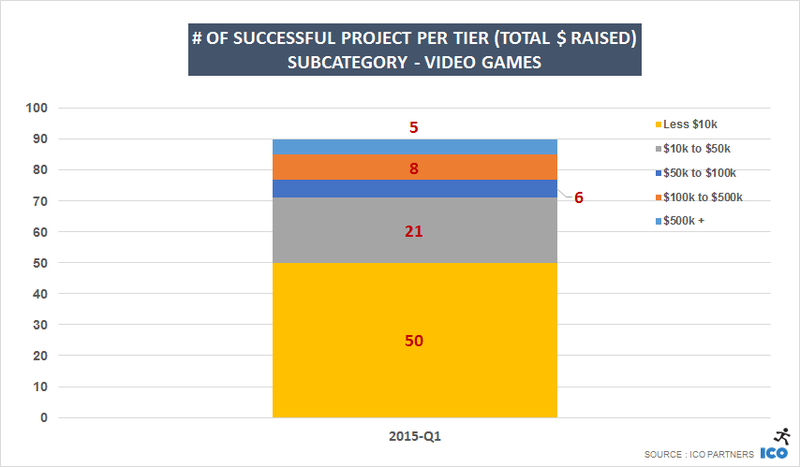 And a similar ratio of projects getting funded (roughly 19.5% in both cases). It means that Q1 2015 has had quite a few very well funded projects in proportion to Q1 2014 (and belying what was seen in Q1 2013 too). So, I am left with an interesting question. Q1 2015 has started really well, from a money raised standpoint. But looking beyond those five very well funded projects, it seems like that quarter has not been performing on par with last year. I used to tell everyone that big successes on Kickstarter were always helping the smaller projects, bringing attention to the platform and driving traffic to games that had more limited communication means. 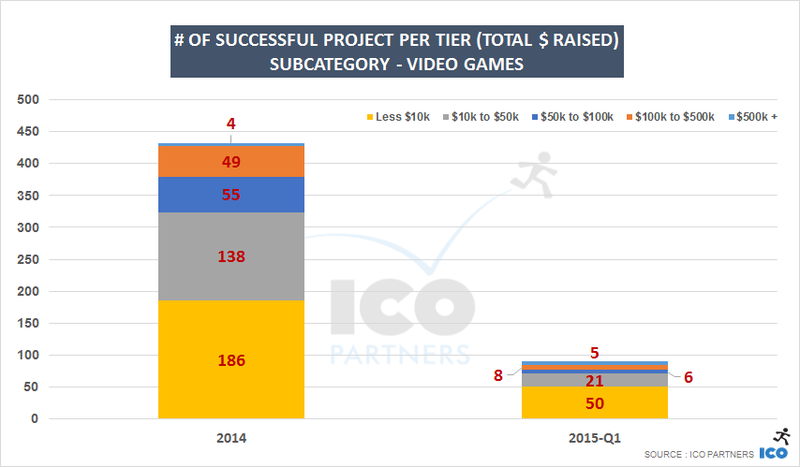 I am wondering if that effect has weakened somewhat (it was a very videogame specific effect, other categories didn’t see much of this) and if this is perhaps another part of the evolution of the crowd funding ecosystem for games. I think so, but it is still quite early to say. And for what it’s worth, April is looking good so far. Note on the methodology – Reminder on how data is gathered. It is automatically scrapped (thanks to a tool provided by Potion of Wit) from the publicly available data on Kickstarter.com. Because the website is evolving overtime, the scrapping methods is also changing. You may see discrepancies on old data we provided and data provided now. It mostly come from the evolving data scraping process. 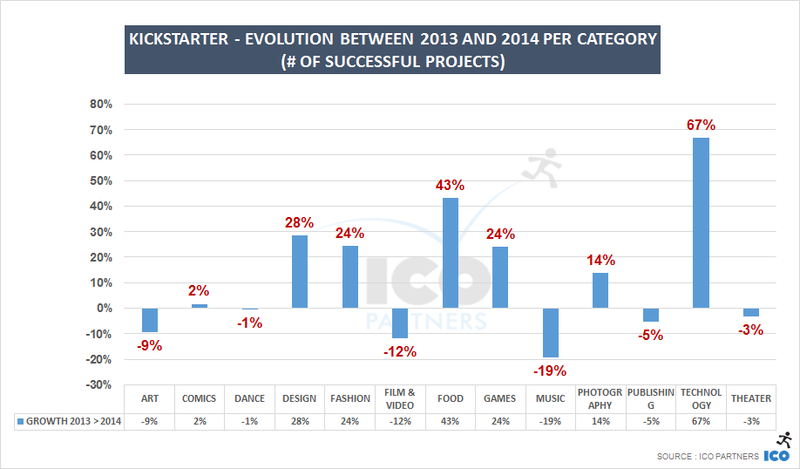 Last year I did a general overview of Kickstarter across all categories for 2013 and now seems like a good time to go through a similar exercise for 2014. I should start with the disclaimers though. In 2014, Kickstarter made a lot of changes to their website, changes that making data collection not as straightforward as before. I strongly suggest to look at this year’s numbers as estimates – all the trends they highlight are probably true but there might be a few inaccurate ones in there too, especially when the related data sample is rather small. Just keep it in mind. You can find a complete, category per category, Slideshare presentation at the end of this post. It all depends who you are I guess. 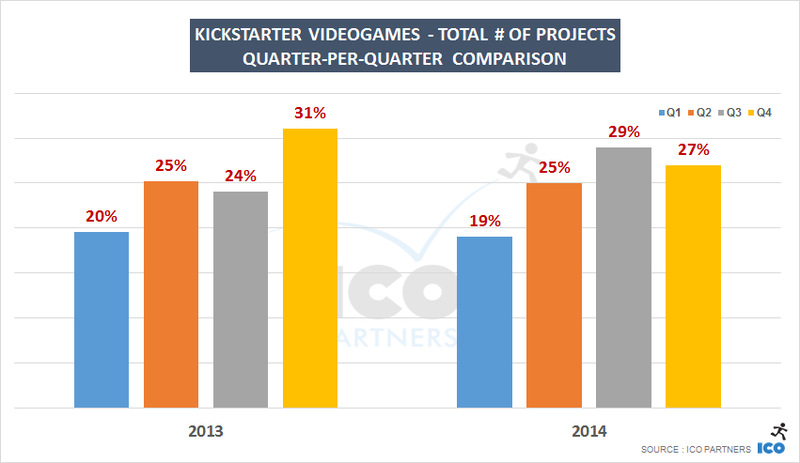 If you are Kickstarter, 2014 was a good year. More money had been pledged on the platform than ever before. While the growth in 2014 was not the leap observed in 2012 or 2013, it was still growth. 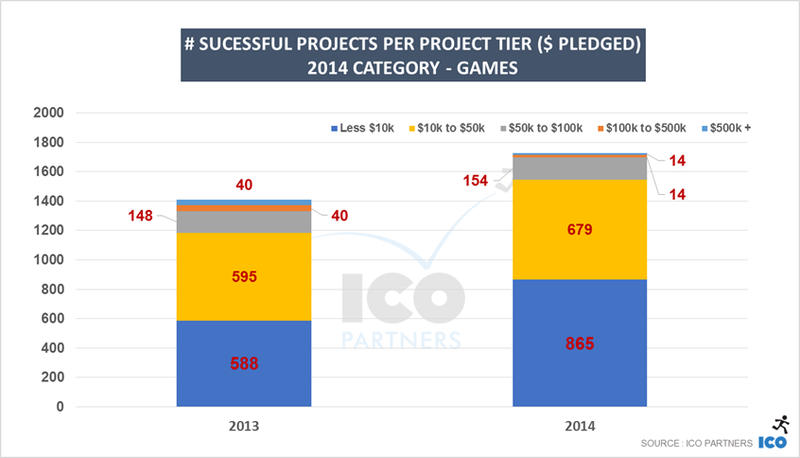 Considering the remarkable successes of the two previous years, maintaining the trend is not a small feat and in that regard, we can probably consider this another winning year for Kickstarter. For the creators on the platform, the outlook is a bit different. On one hand, there has been more projects submitted to the platform than ever before: an impressive 46% increase from the previous year. When put side-by-side with the number of successfully funded projects, a 5% year-on-year increase, it tells a different story. Kickstarter looks to have reached the point where the wider audience is fully aware of its existence. As a result it attracts more creators than ever, and we are probably seeing lower quality projects getting submitted in larger numbers. Who was it good for? There has been a significant drop in the amount of money pledged for Comics, Films and Games on the platform in the past year. On the other hand, it was a fantastic year for Technology projects while Food and Design projects also performed very well. But that’s only half of the story. As we have observed in the past, it is very easy for a few very large projects to weigh heavily on the overall amount of money pledged in one category. All things considered though, we can say that it was a good year for picnic lovers. Kickstarter added another four currencies to its platform and opened projects to five new countries: Netherlands, Sweden, Denmark, Norway and Ireland. The projects in GBP are still doing relatively well – along the same scope as last year. It is worth noting that the Danish projects, the best funded of the newly added Scandinavian countries, did so through a few projects that raised more than $250 000 (including the very well performing Sitpack project). Anecdotally, 75% of those projects are Design projects. Denmark, right?. Meanwhile, there hasn’t been a single EUR projects above the $250 000 line. Of course, large EUR countries such as France and Germany don’t have a direct access to Kickstarter and generally create their projects either through USD or GBP. It is worth noting however that the EUR integration didn’t seem to have much of an impact on Kickstarter’s development. 2015 will be interesting in regards to currency. One challenge that Kickstarter faced was that payments in USD were made through Amazon Payments, while all the other currencies were using an in-house solution. It meant that existing backers, with their card on record on Amazon, had to go through an extra step to be able to pledge money to a project not in USD. Now, all projects will share the same payment platform, regardless of currency. It should help the “exotic” currencies and remove a potential friction point in the process. On the other hand, no longer using Amazon Payments may have a negative impact too. Only time will tell in that respect. 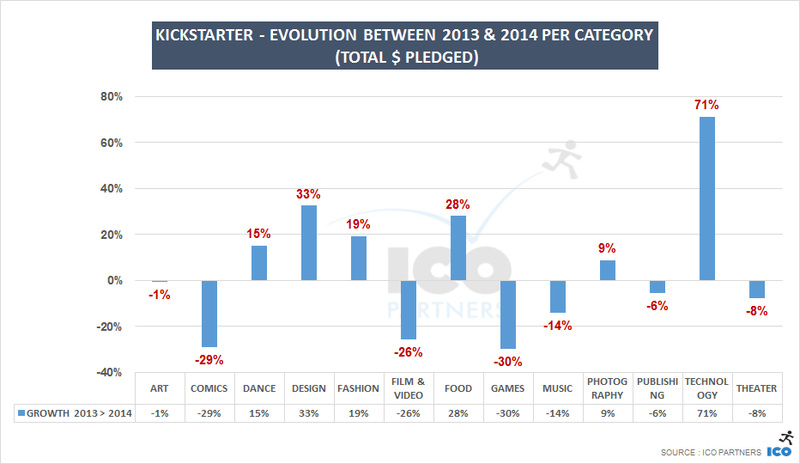 UPDATE – I had a chat (very friendly) with Kickstarter and they highlighted that it was hardly fair to compare video games and tabletop games between 2013 and 2014 the way I did as they have added 5 new subcategories that further dilutes projects and increase the perceived dip for the two historical main subcategories. I have reviewed my numbers and added the new subcategories to the relevant pre-existing ones. The slides represent this change now. To be clear, only the last slides were affected – the Video games and Tabletop Games sections.